First of all, at the top there I will always write the name of the current customer I'm reading for. If there is someone active, please wait patiently and don't join while the reading is proceeding. I will always update it. After reading this first post, make a post about approaching the stand. maybe even talk about why you want it if the character in question is a talkative one. In my reply, I will talk to your character, tell them how the reading happens, and then ask them to choose from the readings as I shuffle the deck. With the reading concluded, you may then react to the reading, pay or if I was horrible off, not pay and take your exit! You'll get three posts, some fortune tellin', and maybe even some inspiration for your character and/or maybe even some introspective development! Readings: 5 Cards General On A Subject, 3 Cards Past-Present-Future, Couple's Readings, Yes/No, Elemental Guidance, I might edit the spreads on the go if I feel it's needed. There she stood, shuffling and shuffling, an incense burning on the side, perhaps lavender, perhaps not. 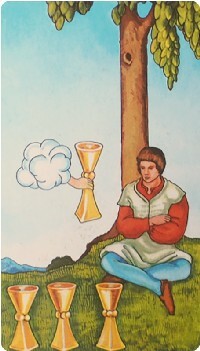 A candle burns on the side, the breeze gently moves the sign hanged: Tarot, it says, a fortune telling stand. The lady is fair and her eyes are somber; inviting maybe even to some. She stands there, shuffling a deck of cards, the smoke of the incense curves around her hands, her neck and perishes over by the sky. A pile of books are illuminated by the candle light. She's been here for a while now, and had done some readings. Her eyes looking through the public for people interested, perhaps even your eyes meet, she would smile for sure, smile to beckon you closer. She still shuffles, shuffles and shuffles. If one to ask she'd say "To clear the energies," and chuckle, "The energies of the previous questioner." Back of the patterns are mystifying, the flower pattern with many colors are eye-catching, and perhaps she knows that. Perhaps you know of these kind of things, perhaps you are interested, perhaps you do readings yourself. Maybe you are afraid of the getting scammed, but it is then your eyes meet with the hanged piece of board on her stall. Her sign says free if the reading was off, so what's there to lose? Of love and fortune and glory, ask whatever else you could. The lady leans on her counter. As the festival went on and on, and the days passed by, it was quite easy to say that Ri had nothing to do. He had been to the festival for a few times, but each time he visited it, there was nothing new to see. All the stands were the same, but the musicians seemed to change their songs every night. That was mainly the reason Ri still stuck around, really. Well, that and the flowers, so seemed to become more and more beautiful by the day. Maybe it was the festival's effect. The joy of the people influenced the flowers' growth, allowing them to become much more beautiful than they are supposed to. Or maybe, the mage was just thinking too much into it, and it was all a big coincidence. As he walked, he silently thought about his first days here, and how much those geta he bought messed up his feet. But, he didn't care. He liked them, and, thankfully, he got used to them in about two day of being there. Silver lining. He walked, and continued to look around the festival grounds, silently counting what shops would repeat. "Food...Food...Drinks..." He muttered, crossing his arms over his chest as he continued to search for something new. He suddenly stopped, though, as something caught his attention. A stall, which he had never seen 'till that day, with a sign at its entrance, "Ta...rot? Never heard of that..." He muttered, once again, as he then looked around the small crowd. Many people, of many ages seemed to wish to see this woman in action, Ri's own curiosity making him step forwards, and near the woman, "So." He began, while a smile formed on his face, "What exactly is this?" Vivianna didn't expect to gather such attention, but a small crowd of people, some looking at her very judging, some skeptic, some very curious were around her stall. While they probably didn't want to try the reading themselves, it appears they sure wanted to see it happen to someone else. Blushing very softly at the interest, Vivianna caught eyes with an approaching young man. He smiled at the potential customer, and when he asked his question, he gently traced her lips in a circular motion as she leaned on the stall. "Take a seat, young man," he said and started to explain herself as she made the pictures on the cards dance with her ink magic. "Tell me what part of your life you wish information about, tarot is a form of fortune reading. Whether you want information in general, past, present and future or maybe on a specific thing, such as a yes/no question, or maybe your love life? Perhaps you want to know about your fame? The glory your quests might bring? Just tell me what's on your mind, and I will make an appropriate spread for it," she said, her face had a sly smile, but yet it didn't really look malicious. She took the deck and started to shuffle it. The boy in front of her was handsome no doubt, youthful, and his approach despite looking unsure spoke about his boldness, or maybe boredom. Vivianna looked at him up and down, trying to get any hint regarding him from his appearance. Perhaps he was a youthful hero, a popular choice for some young-adult novels. The "young man" followed the woman's instructions and sat down, his hands rested in his lap. He cast a glance behind him at the gathered crowd, mainly to get their impressions of him. He didn't see any eyes on him, which was a good thing, but most were pointed towards the girl, most likely ready to hear what she has to say. His attention was then drawn back to the woman, silently staring in awe at her use of magic. 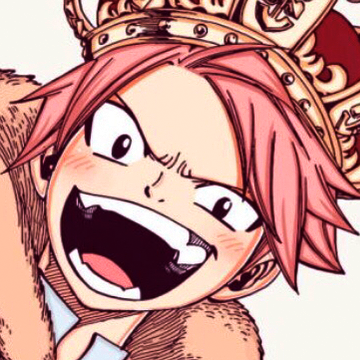 A smile started to spread on his face, before he brought a fist to his mouth and coughed into it, to try and gather himself. He only cast a glance at the girl, as she spoke, mostly because he was paying more attention to the cards, and mostly because if he were to look at her, he'd unconsciously blush. Or was it a conscious action, if he knew he'd do it? Well, in the end, it didn't truly matter, for when he found his answer, he turned his eyes towards the woman's either way, "Ah- Hm." He paused, as he went over his thoughts one more time, "Will I be able to become a powerful mage?" He asked, his arm then reaching for the back of his head so that he could scratch it, thus tussling his hair more than it already was. There was not much to his appearance that would differentiate him from any other bystander. Maybe his wild, golden hair. He looked clean, since he respected himself and took a bath daily, the only thing that might stand out being the golden guild mark that was present on his neck. 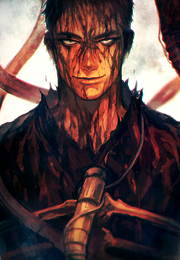 He cast another glance around him, afterwards, a friendly grin forming on his face, as he awaited his answer. But the main reason was propably the fact, that here he felt like an adult. People had this weird respect towards him. Whether they saw him as a threat, drunken pal, or something else, they were clearly interested in what he was doing. He was catching peoples eyes and making them talk. He already felt like he had left a mark... however there was a big problem he was ignoring. He had to go home eventually. He missed the people back there, his parents, his friends... honestly the life back there he wouldn`t have given up, if it wasn`t forced on him. He grumbled to himself. There was also the fact that the festival was gonna end at some point, and he would need to go report about how well the kimono was received by the public... Not that he had actually asked anyone. He himself didn`t know anything about trendy clothes. "Well, the guy should have chosen his model better I guess." However, his attention was taken by something else in the distance. A small crowd of people had gathered over to one of the stands. And since crowds usually meant that something big was happening, with quick small steps Kurdran rushed over to see what was going on. Of course, to actually see what was happening, he needed to push through the crowd. "Come on! Whats going on here, ant circus!?" Emerging on the stands side of the crowd, with some disgruntled people behind him, he looked around as his mohawk flopped from side to side. Though sadly somebody was already sitting on the chair. "Hey! Me next, okay!?" However, this minor moment of impatience stopped, as he outright just crossed his arms and pressed his fingers against his chin. He wanted to hear what kind of story this guy would be getting for his question! :"A powerful mage you say?" Vivianna asked. It was such a simple question, that she couldn't tell if the boy wanted a simple yes or no reading. However, that wouldn't give him much information, and Vivianna didn't want the boy to be tricked. He seemed young, so she didn't plan on taking any money from him either. Smiling, she shuffled the cards, split it to three and then spread them. "Now, she said. I want you to choose six cards," to the young man. "Don't look at them, just point." After the young man chose his cards, Vivianna would begin. "Young man," Vivianna began to spoke. "It seems you have a lot on your plate, could it be that you are trying to make do with a lot of things? Be careful with the responsibilities you take on yourself. While trying to achieve so much, we sometimes forget that we may not achieve anything at all," she spoke, gazing on the card. "Or perhaps you there is one thing you want so much, that you try to tackle at a whole. Perhaps there are smaller parts on it you can start with. Perhaps, you can remind yourself that it is okay to start small, handle it slowly." "Soon, a change," she began to spoke after flipping open the second card. "A change of plans, and even an opportunity. Don't lose this chance friend, for despite the fact that change might be troubling at first, the cards spoke that this new change will be the most beneficial to you. Be careful, be wary, someone will approach you with an offer, or perhaps, you will come up upon an idea of your own. No matter, how fleeting, hold on to this idea." "Ah, it seems the change is something we are going to follow," she said looking at the major arcana card. "This change I mentioned young man, is something you already know, but think that you do not want. Sometimes, people think that they don't want things that they actually do. There are many sides to one thing, perhaps principles, perhaps external influences, thoughts of our loved ones, all of these can makes us think that something we desire, is something we abstain from. Try to be objective, and your fate will turn around, for the better." The other card made Vivianna chuckle. The going of the spread was kind of cute. "You've not been good on yourself, no, not being hard on yourself, but not listening to yourself perhaps. The answers you seek, the power, the magic, they are all inside you. I know this sounds cliche, but hear me out. The main theme had been the refusal of a change that is to come. But if you take some time, only think about what you want, then you will get some answers. Listen to yourself, not anyone else; at least, when it comes to this subject." "This..." she said softly. "You will be celebrated, loved! Whatever it is that you are to achieve, there is success in your future. As changeable as fate is, make sure you thread carefully. Take my words." She inhaled, she had spoken so fast. "Also, this means making peace with someone you had been drifted away from. Perhaps a friend or a family member. The main thing here is your celebration, so don't worry about the second part if it doesn't apply to you. But yes, perhaps this is an answer to your question. You will indeed be known." "Now for the advice," Vivianna spoke. "This seems like to be the perfect time to make decisions friend. I cannot give you the details, but your decisions now will surely find their mark. But! Also, take care, for the moment is going to be lasting. Be ready to hold on for the ride will go far! Make your decisions carefully, because after you start, oh boy!" She exclaimed, laughing. And with that, the young man's reading was done. Vivianna collected the cards from the desk and looked at him for his input. At that moment, the crowd around split up, and angry voice ringed. Immediately worried, Vivianna stood up to look around. "Huh?" she exhaled, only to see a small man asking to be the next. The height of the man, his hair and that kimono... Vivianna immediately blushed, both from finding the scene very adorable, but also because she didn't know what to do. "Y-yes of course," she said to the man, then turned to face the blonde boy. Ri stood and listened to the girl talk, finding most of what she was saying incredible. Could he find himself in what she was saying? Yes- More or less. Some things reminded him about himself, and his own journey, and some reminded him that he should probably remember what he thinks about himself. With that said, though, Ri's eyes focused on the cards, and he seemed quite skeptical, even if, in his mind, he was silently agreeing with most of these facts. But, he couldn't stay here and think for long, for apparently, someone else was- loudly- wishing to be given his own fortune telling as well. He looked behind him, at the mohawked, short man. Immediately, he turned his head away, and quickly brought a hand over his face, to muffle his snickers. The man's image was hilarious, in the young mage's mind. His mohawk was taller than he was! How could he even grow that much hair?! Would be Ri's thoughts, as he took a deep breath, and calmed himself. He then stood, and flashed the woman one of his trademark grins, "Thanks so much. It was actually pretty good." 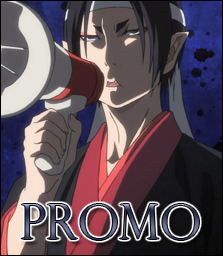 He spoke, as his hand dug into his yukata, and took out his wallet. "Ah, how much?" Once the deal was done, and over with, Ri stuffed his wallet back in his robe, and with a dramatic bow, made his way out of there, and out of the crowd. Deciding that a meal was now in order, given that he hadn't eaten for a few hours, Ri's next destination was the grilled food shop. Kurdran could hear the flapping of cards one by one on the table, as the lady told outloud their meaning. There was this certain majestic touch to her speech. It almost felt like he was listening to an actual oracle... But honestly, taking that he had just entered, maybe she was one! Whatever it was, the story for the man before him was seemingly a story of hard work and choices... about making the right choice, listening to his own heart, and accepting it to succeed. It certainly sounded like a heroic tale born to be made thats for sure! "Sounds like we are gonna be hearing about somebody in the future, hehe!" He laughed aloud. However, after his shouts of excitement, followed a bunch of brief looks and snickers. He shrugged. "Man, people here aren`t used to a guy saying what they think I guess." Even the "oracle" herself was laughing a little bit at him, which was sort of comforting. After all, if he had angered her, she propably would have chosen somebody else to listen to next! The dwarf hopped onto the chair, sitting down, with his legs barely reaching the ground. He shook a bit from excitement. "Oh, its been so long since I`ve gotten something like this from a professional... Not that I still know what these cards individually mean..." Maybe he should ask about if he would be legendary? It seemed like the last guy was very successful in that front! Why not he himself! No, no... important questions first, then consider the mildly unneeded ones. "Alright, I will give an abridged version of the story to not keep you too busy..." He clapped his hands together and rubbed them. "Basicly, back home, I did a lot of stupid things. So many in fact, that the crew decided to outright give me an ultimatum of doing a thing, or staying away..." He scratched his beard. It was clearly a bit of an annoying topic. "The problem is, its been a while, and I haven`t been able to make any progress on it..."
"So... the question is..." He pushed his head a bit forward. "Am I gonna be able to return home eventually without needing to worry about the task? Finished or not?" He knew this wasn`t gonna magically make him find those things he had given away such a long time ago, but atleast he would find out how close he was... and if he needed to worry about it whatsoever. After seeing off the blonde boy. Vivianna closed her eyes and inhaled for a bit. When he opened her eyes again, the dwarf had already taken the boy's place. She couldn't help but admire the man's boldness. She also loved the fact that despite his rough looks, the excitement he was demonstrating showed that he wasn't a two dimensional person. Vivianna couldn't help but look at him smiling in silence for a few seconds. She kinda wished she had his bravery. After a while, breathing in, she leaned on the stall and listened to the man. A tale of exodus, and desire to return home. She had honestly wasn't expecting such a story from the dwarf, given her lack of knowledge in this regard. She felt a tinge of pity for the dwarf, he was surely capable; strong, but sometimes all it takes is one blow to knock someone out of their ground. She wished strongly that she could show the dwarf at least an outline, or give ideas to ponder. "I.. see, I wish you the best. Now, looking at the deck, please concentrate on your question as I shuffle it. When you feel it's the right time, please tell me to stop," she informed him. After the dwarf would give the notice to stop, she would split the deck into three, ask him to put the three decks in any order on top of them and then spread them across the table. "Now, choose 5 cards," she would say. After that was done, the reading would start. "O-oh," Vivianna said and reached a full stop. "This is... interesting, would you happen to be in a... relationship?" She asked the dwarf. 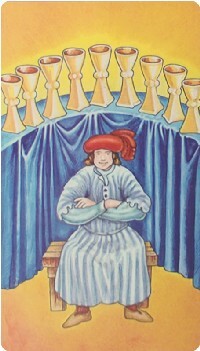 Two of cups was a very emotional card. "This card symbolizes getting very close to an individual, and it shows the current moment, perhaps an extremely close future, of course.. It doesn't mean a romantic relationship, it can mean a very close friendship but... what I'm trying to understand is... something else. Why would such a card appear in your situation? Hopefully, the other cards will tell." "Aha... I see now. Mister, you might find someone here that will make you question your beliefs, I really do not wish to be disrespectful, perhaps what I'm about to say be totally against the dwarven culture, but I must say it none the less. This card shows a person who has to make a choice. The choice of going back to old routines, your safe space, or perhaps using your past as a base to build on. You mentioned mistakes... Perhaps instead of trying to fix them, maybe you should try to learn and build from them? I'm dancing around my words because I don't wish to say it out loud, but my friend, you might actually let go of this idea of returning home... You might find something, or someone here, that will make you want to stay here and begin anew. I'm sorry." She said in one go. She was very scared of making the dwarf angry, but it was what the cards have said. Her eyes were shut tight, she would only slowly open them later when relaxed. "Being on edge... defensive, this is what this card shows. 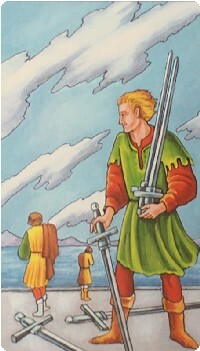 This card and the next shows the two possible choices you might make, and their results. Which one is which, will hopefully be apparent to you. I will take a guess and say this is the choice of going back. Perhaps back at home you will always feel on edge, you will think that you cannot make another mistake, you might feel that you have to reserve yourself and that they will be watching you. Illumin's sake... I'm sorry for being like this, but I'm just telling you what the cards say. My apologies." She told the dwarf. "I'll read this card in two meanings, because it has two and I think you will know which one. First is the one I believe, the one I see to be the truth. This card shows the person you will meet. A lady that is full of life energy, someone creative, joyful. Someone who is not afraid to show her femininity, someone.. kinda wild even! BUT at the same time, I feel like maybe this card shows the person you will become. Someone who feels free and as if they hold their own life in their hands." She told the dwarf. "Let's look at the advice card." "I see," she began to speak. "The tarot's advice is to have some time for yourself." While Vivianna didn't know the man, she felt like he was always so active, and had little time for some introspective thinking. "To answer your question, well, according to tarot it isn't the real question, yes, if you put your mind to it, regardless of whether you have finished your task or not, the home will be open to you. What tarot really asks, is that if that is truly what you want to do. Perhaps you can think on that." And with that, the dwarf's reading would reach an end. She hoped that she had not angered him. ...Only for the lady to seemingly become surprised. "Eh? Did you draw something amazing or what?" he said aloud, as she proceeded to ask if he was in a relationship. The dwarves face turned into one of befuddlement... "No. Not to my knowledge anyways..." Apparently the first card meant that he would get very close to someone... It did hit a cord with him. His problems had initiated from him befriending outsiders... but a new relationship like that? However, the next cards explanation went on for a little longer... even though in short, he got a clear and short answer. He could feel his hair rise up, as he stared at it, with the oracles words going into his ears. "T...they don`t... want me back home? You are saying they will... keep rejecting me?" He mumbled. Was that what she meant? The place he had called home all this time, just throwing him out for his mistakes, and leaving him to die?! His fists on the table tightened. And the last card was a hermit... And at this point Kurdran kind of understood what the card meant without even needing an explanation. It had shown up previously after all. "...Just be alone and think about it right?" He brushed his hair with his fingers. The cards had spoken... and they were pretty clear in their message; They did not want him to go home. "Bleh... I gotta go drink some more. That should wake up some brain cells... Thanks anyways." He reached into his pocket, and placed some coins on the table, as he hopped down. "It was one hell of a story to hear atleast." He suddenly lacked his typical fighting spirit, as he walked away from the stand. He ended up much more confused than he had started. Aurelion was wondering around the flower festival once more, now that he had made a few friends here and there he was ready to spend some time alone to see what the festival offered other than food and drink. He couldn't deny he had lots of both the other day but it was fun nonetheless. While taking a look at the attractions nearby he noticed some musicians playing a beautiful tune, the breeze that day was delightful and together with the cherry petals flying all around Aurelion he felt at peace, closing his eyes only for a moment, he inhaled, smiled and then exhaled as he continued down his path. Suddenly he stopped on his tracks and gazed in awe, a tarot reading stall, he thought as his eyes sparkled. Aurelion quickly headed inside, this wasn't something he'd miss. As he entered he saw some candles burning and the smell of incense made way in his nostrils, what a fragrance, he thought, was it lavender, maybe or maybe not. Looking past the candles he saw a woman shuffling her tarot deck, "Good day, I-I'd like a tarot reading please." he said. Seeing no other client at the time he nervously sit on the chair opposite the tarot lady, as much as he was excited before he was now nervous. His mother used to hold readings for various people, but only at night by looking at the stars and this stall made him reminisce about her. But now that Aurelion was sitting on the chair and at the thought that another person would learn of his life and show him his fate made him feel somewhat embarrassed, blushing at that thought without realizing it. As he snapped out of it he looked in the woman's eyes with an apologetic look, "I'm a bit nervous that's all." he said with a slighty akward laugh as he patted the back of his head. "Ahem! You see my mother was murdered, taking away her killer with her, but before that she left me two heirlooms linked to our family's magic." Aurelion said as he lifted his hair from his forehead, revealing a golden circlet and taking the golden necklace out of his yukata. "She told me that they protect the users of my family's magic by sustaining the life force cost that has to be paid by the user originally." he continued, "What bothers me though is that she mentioned a hidden potential.". Aurelion explained how he tried to gather info on them the last four years by working at places where a lot of travellers gathered but was unsuccessful thus far. "So now, my question. Will I eventually find a way to uncover this potential?" he asked with a worried look in his eyes as he gazed at the deck momentarily and then turning to the woman. Her next client, was a young boy. Seeing the dwarf off with a sad smile, she turned to the boy while still in the effect of the man's story. While listening to the boy, her eyes would look on the ground, but her ears would be on the young man. As she listened to him while shuffling her deck, she stopped and looked at him. "My god..." she said softly. "I am terribly sorry to hear what you've gone through," she added. This was yet another sad story, but she sure hoped the cards would bring light to this young man's fate. Repeating what the boy said in his mind, she nodded to herself and decided on an appropriate spread. She wanted to say words of encouragement to this boy, but decided against it, for she knew nothing about him. Going through the whole shuffle, cut and spread; Vivianna would ask the boy to choose five cards. Flipping the first card open, Vivianna scratched her chin very briefly and leaned closer. "Interesting, I see a person who is very sure of themselves, but at the same time, it is as if that's a mask. What they don't realize, is that they are putting on a front that is telling the other people that they don't need anyone. This might mean, even if not that, that what you seek will require help from others. While it seems to be a very internal issue, I think external support is the key. Do you fear bringing others with you? Or that nobody could help? Be kinder on yourself, for this card also means giving yourself some treat time." "Ah, I guess that is your mother. Seems like she was someone who was full of creativity, the power to create maybe even in magical terms. Her gifts and spirit lives with you no doubt. 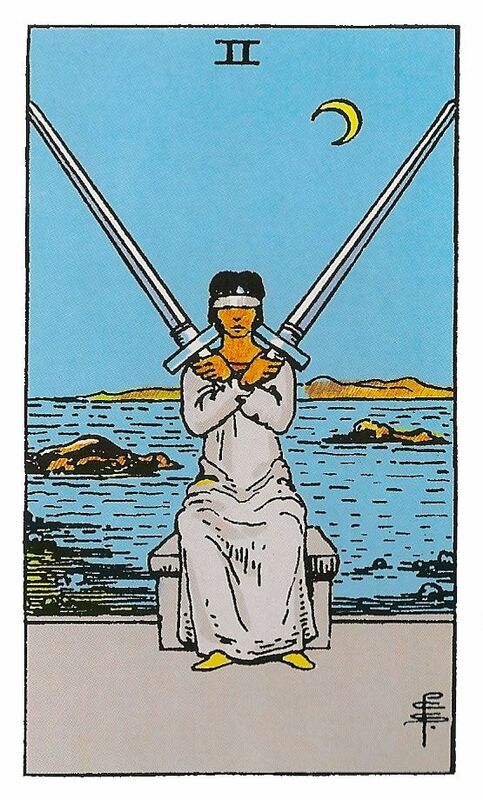 Aside from that, this cards tells you that there are sides of you you express a lot, or perhaps need to express more; a more subtle side, one that does not try to control everything around him but observe, I'd say even feminine parts of you can be useful to you. I'd also recommend a creative outlet; for this card's appearance means that creativity, art and beauty play key roles on this path to your goal." "And here, we have you. I suppose you are a man of vigor and life. I would like to take a guess, despite the hardship of losing your mother, you are doing a good job at keeping your chin up. The love for life and vigor are also themes of this card, so it just proves more of what I said. Are you a mage? Perhaps the card is telling you to be creative with your magic. Perhaps, it's a technique you can already do, but just don't know how. Well, I guess that's very general right? What I mean as if it's simply an out of the box approach to your magic, a twist. I also can say that yes, you surely will achieve this goal. It's akin to a torch that's been passed to you." "And here! The card of potential, and the answers within. 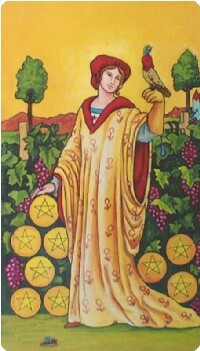 This card shows that truly the aspects of your desire are within you. Unlike the hermit card, this card doesn't mean that you need to listen to yourself, that you need to find answers, what you need is truly believing in yourself. I know that what I am saying is cliche, however, slowly I'm starting to get the idea that this potential might be linked to the idea of having to pay life force, but that being negated by these heirlooms. I am making a very wild guess here, but if one was able to use your craft without the heirlooms and without having to pay the life force cost... could that mean something? The magician says that you have gathered all the info you needed. It is time to synthesize it. Go fight battles, spar, go on quests, train your magic and before you know it, the answer will be yours." When Vivianna flipped the idea card, she instinctively wanted to hold the boy's hand. "Ah..." she exhaled. "The first card makes a bit more sense here," she started to speak. "There are things that you are refusing to face, things that you are suppressing, trying to put on a mask to not deal with them. However, these things you are pushing down haunt you at your lowest moments, or at night, when you try to sleep.. maybe even dreams.." she spoke, getting softer with each syllable. "The reading in general speaks that things that are blocking your path to this goal, is no one other than yourself. The exact things, with this information, is for you to find." Aurelion did as instructed by the woman, choosing his five cards that hold his answer. With each flip he hold his breath, his heartbeat was faster now and he was looking back and forth, the cards and the woman, nodding. Hearing her explain the first card he wondered whether she was outright telling him to be more open with his feelings, his facade or more appropriately the wall he built around his innermost feelings was that of a cheerful boy, not that he wasn't cheerful in reality, but he preferred to hide his negative emotions behind it. Was he afraid that no one would help in his quest? Yes, partially, but he was trying to make friends throughtout the festival, some could even prove useful mages that can offer their aid. But he was scared that he would be denied of that. She wasn't wrong on the reading of the next card either, Aurelion's mother was a creative person indeed, even though his father taught him all about arts, dance and music, she used her wits and magic to keep entertained for hours and teach him new things. Maybe he had to start thinking more like her. 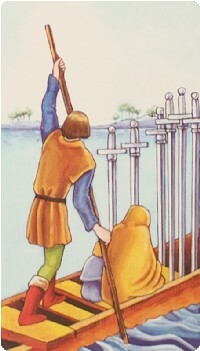 The third card, the woman adressed Aurelion as a man of vigor and life, yes he had that, despite losing both of his parents he never stopped trying and aching for something better, his thirst for life couldn't be matched by any other of his feelings, he had so much he wanted to do and see. "A twist to my magic?" he said softly, maybe I need to be more creative in that aspect, like my mother, he thought, his family gave him the universe as his spell book, he only had to be more creative and look further inside. Aurelion heard the woman speak about the fourth card, the magician. The answers were within him, he couldn't really comprehend what that meant for the time being. The two heirlooms were there to protect the amateurs of this kind of magic, he knew it was possible to wield his magic without wearing them but that would take training. Believe in yourself and train that's what Aurelion kept in mind from this card. The final card reading made chills run down his spine. She was correct, he often had dreams in which people abandoned him, he was crying, but no one would comfort him, he never spoke a word of what he really felt inside, he had to fend off for himself since the age of sixteen and before that for three years he could barely see his mother daily with both of them working and whatnot. His fears were right there, crystal clear in the cards. "I don't want to be alone... anymore." he said, his voice cracked and a tear run down his cheek followed by another. Wipping the tears off his face, he managed to find his composure again. Taking out some jewels from his wallet he gave them to the woman, "Thank you, you helped me more than you can imagine." he said and softly touched her hand giving her a warm smile. Seconds later he stood up, made a small bow with his head and left the stall. Wandering along the various festival stalls Esperia Von Eisenberg could likely be considered the embodiment of the emotion of cheerfulness itself. A happy hum followed the lass, clearly enjoying a melody of some sorts while snuggling against the arm of her fiance, who was once more roped into accompanying her on one of her trips. Then again, it was rather fortunate that Fia didn't dislike that. Despite it being her first festival ever, the days she had currently spend at Orchidia were memorable to say the least. Not only did Fia get to enjoy the reunion she had long desired, to finally be able to make Baldo Barone become a part of his family again, but he had given them his blessing for their plans to get married. "So~ I wonder what type of festivities we stumble upon today." The lass hummed happily as she nuzzled her cheek against the soft fabric of the sleeve of Fia's kimono while looking around similar to a child who was on the brink of deciding where to go next on terms of attractions at a festival. However, it was during her search for something entertaining that Esperia spotted something most peculiar: a fortuneteller. 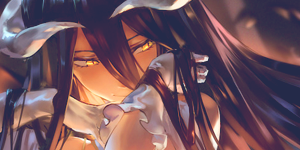 "Hmm how curious~" A familiar sweet voice whispered in her thoughts as Asmodeus manifested as the ethereal image at her side, one only she could see. For Esperia this sight brought back a nostalgic memory. Several years ago, long before the tragedy that took her family away from her Esperia had a conversation with her elder sister, who had just returned from her first mission within the capital of Crocus. "A fortuneteller?" The soft voice of the child inquired with her elder sister, who explained with a sheepish grin. "Indeed~ They are a special type of mage who possess the means to sort of 'predict' your future. It's quite fancy really!" Future reading? Was such a thing even possible? Noticing the curiosity and excitement in her little sister's eyes Aseria quickly continued. "But there is one thing you always have to keep in mind my dear~" Yet before the memory could successfully resurface she found herself approaching the stall and mused softly. "Let's get our fortune read together Fia~" Esperia exclaimed with a bout of childish excitement as the duo arrived just as the lady's previous customer left. "Yahoo~ My name is Esperia! And this is Fia~ You are a fortune-reader, right miss?" Esperia's excitable voice clearly betrayed the fact she had never seen an actual one in action before, and while placing the tickets on the table she watched Asmodeus lean closer toward the table, seemingly intrigued by the cards. "Oho~ I remember now, rulers of yore often were prone to hire the services of a fortuneteller. Some were called Astrologians who depended on cards like this and the placement of the fancy stuff in the sky, others were heralded as Prophets and said to be able to look straight into the past, present and future~ But there was always one terrible issue about this gift..."
A terrible issue? Although she didn't visibly express her curiosity she had to admit she was fascinated by Asmodeus' words. Perhaps a statement she would find an answer to during this reading. "Could you please read our fortune? Like about our future together?" Maybe she would perhaps even be lucky and get the nice lady to read her fortune in such a way that predicted her shenanigans with that little spell Asmodeus would teach her would actually cause some consequences! Not that she minded, although having that happen right now would be a bit embarrassing. "Interested Fia?" The girl inquired, clearly excited at the idea of getting their fortune read together. There were things in this world quite as pleasant and soothing to Fiammetta Barone as her lover, Esperia von Eisenberg, nuzzled against her arm and adorably brimming with cheer as they walked through the flowery festival streets. Coming to Orchidia had been everything Fia had hoped it would be and more. After a long period of struggles for the pair, they'd finally found a chance to relax and enjoy the fruits of their labor. Which, in this case, meant the release of Fiammetta's adoptive father, and their long-awaited reunion. She'd deeply treasured the past few days, spent mostly with her father and fiance, getting them acquainted in time for the upcoming wedding. His blessings weren't surprising, but they were good news nonetheless. Overall, there was no reason not to be in a good mood as they enjoyed the varied festivities. "There's plenty we 'aven't seen..." Fia responded to Esperia's comment, musing at just how large this festival was. She wondered how much of Orchidia in those days was designed specifically for this massive event. As Espy rather adorably snuggled against her kimono, Fia also spotted a peculiar little possibility in the form of a fortune teller. But, ultimately, Fia was still intrigued by the idea, perhaps feeling a bit more optimistic in light of the festival spirit. Besides, if she didn't up liking it, Fia wasn't averse to trying to defy fate. So it was just a matter of seeing if Esperia was down, and before Fia could even ask, her lover was already tugging her along toward the stall! "Yo." Was the simple greeting and acknowledgment Fia gave the fortune-teller after Esperia's introduction, already eyeing the lass to try and pick up any hints that she wasn't legit. But, well, she did seem to be professional enough, certainly moreso than some gypsy on the side of the street. Esperia was taking the lead, clearly having far less reservations than Fia on the matter. "Readin' our fortunes together? Can they do that?" Fia wondered, not quite sure on the process herself. From what her father had told her, fortune tellers could be rather vague in their practice, relying on that to create self-fulfilling prophecies, so Fia wasn't sure if Esperia's wishes could be granted. But, she was still interested to see if it was indeed possible. "Yeah, aight, I'm down. Les' see what ya got." Fia replied, watching and waiting to see what the fortune teller might have to say about their future. She didn't really care if it ended up being good or not, really. Fate wasn't something that worried her, not when she believed she could change it. Slowly, the crowd around the stall had started to lessen. After three readings happened, the people around seemed to have satisfied their curiosity. While she had to deal with some skeptic with very strong opinions, those who saw the past readings were kind enough to back Vivianna up. The moment of solace was well wanted. Her three customers had happened consecutively, giving her no break what so ever. Now that things were a bit more calm however, Vivianna was bursting with energy. She knelt down and took an incense stick from the shelf behind the stall, lime this time, and lit it up. When she was lighting it with a match stick however, she saw two girls coming towards her. Quickly shaking the stick to extinguish the flame, she gave the two a gentle, swift bow and listened to them. It seemed as if one them had more energy than the other, Esperia, she said her name was. The friend she was dragging behind her, who seemed reserved when compared to Esperia, was named Fia. This was the first time her customers had told their names, and to the innovation Vivianna silently smiled. She noticed their figures, and they seemed to be younger than her. 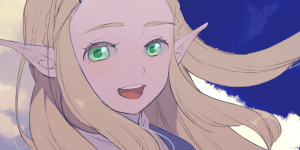 By this point, she had noticed the different eye colors of Esperia, but not desiring to feel rude, she was doing her best to not stare at them. "Hello Esperia, hello Fia," Vivianna responded to their introductions. "I am Vivianna, care for a reading? If I am off, it's free after all," she spoke. Feeling playful, she would make one of the cards from the deck dance around her fingers as she gave the two girls sly looks. Quickly however, she put the card back on the deck and was now leaning on the stall with folded arms, smiling. "A reading for two people? My, of course!" She exclaimed. She personally was a big fan of this spread, for there was a big change of learning about how people act in relationships. She placed her own chair in front of the stall so both girls could sit down, she only had one stool in front of the stall. She would then ask for them both to concentrate on the deck, and stop shuffling when they both said stop. Then, she would split the deck into 6 parts, three in front of Esperia, three in front of Fia, and ask each of them to re-order their three parts in any order they wanted. Taking the both decks, she would shuffle them together once more, and spread it on the stall. She would ask both girls to pick two cards each, and then decide on a single card together. "This card, is for what Esperia adds to the relationship," the witch would begin, pointing at Esperia with an open palm and slow gesture while she didn't break her gaze from the cards. "The strength is a card of not physical, but mental strength. 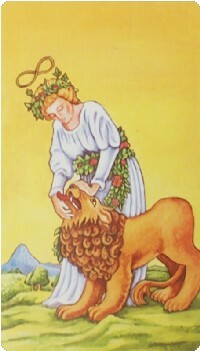 In the card, you can see a woman taming a lion with her kindness. Just like, the strength shows someone who knows her limits, but also their powers, it shows someone who knows how and where to use their impulses. When it's required, Esperia seems to be able to silence all the thoughts and clearly, maybe like taming the monster inside, but she also seems to be prone to moments of spontaneous behavior, but I'd say that this card shows this is being done on purpose, which shows the strength of character. So in a way, I suppose what she adds is the fun, power but also control when it is necessary. Flipping the card across the strength, Vivianna would begin her reading, "This card shows what Fia adds to the relationship, and it appears she adds this with her personality, for the court cards usually show aspects of people, no matter if a big part of them or small. 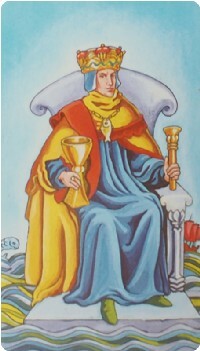 The King of Cups is someone who is loving, kind and maybe even a bit emotional. 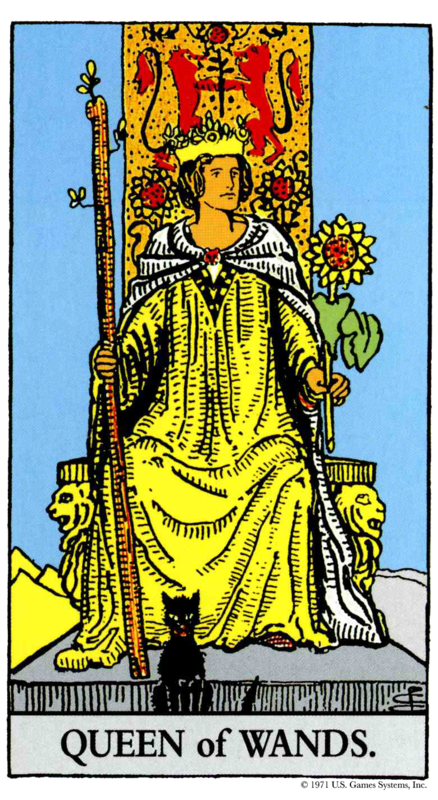 However, what separates the this king from the queen of cups is that he is very mature about their emotions, which might even cause them to look cold from an outside perspective. That is not true however, for this king simply knows how to behave where, is mature about their emotions and feelings, and filters them before they emerge to the external world. Fia seems to be the emotional stability house of the relationship, perhaps even the silent and observing part of it. Vivianna flipped the card right down the strength.Here we have what Esperia takes from the relationship, you can say something that is detrimental to it. 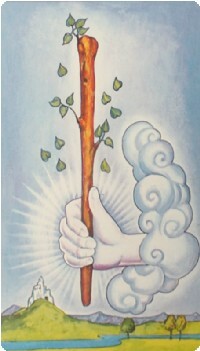 Ace of Wands is a card of vigor, life, energy and creativity. It is the beginning of a new job, perhaps moving, something that is changing up a person's life and or work in general. However, in the context of this reading, one would say that perhaps without noticing, Esperia takes on the lead so much that the other parts are silenced. Maybe that you two start a lot of projects you don't finish, if one is to look at this from a realistic angle. However, the ace tells me that this is something done unconsciousl-"
For a very brief moment, when she was about to say unconsciously, she felt goosebumps all over and slowly raised her head to look at the two. "A-ah, sorry." she spoke, and decided to open the next card. "And here we have how Fia detriments the relationship. This is a card of boredom, no not from the relationship, but perhaps in general. It's a card of lacking conviction, energy and perhaps being pessimistic and fed up with the world. Could it be possible Fia that sometimes you fail to see the good parts in situations and focus on the problems? This card also suggests that you are very reserved emotionally, and maybe you don't even voice your opinions. This card with Ace of Wands makes a lot of sense if I am right, actually, given that because you are more quiet, Esperia might be feeling like having to act double to push things forward. A compromise can be very beneficial to you both," the witch spoke with a slightly sad smile. She was afraid of offending the seemingly young girls. "I'm sure you two can make it," she added. "It's not a big problem at all." The last card would be the card they agreed to choose together. "This is the card that shows up where this relationship is headed," Vivianna spoke. During the reading, she had purposely avoided saying friendship, for she did now know what the two were, and she were insistent on being open minded. An open term like relationship was much more fitting. "It seems that two of you will be able to cover for the lacking parts of the other, building strength from each other via compromising, hehe, it seems that even if you two are to have problems they do not have long lasting effects on you!" Vivianna said, happy to end the reading on a positive ground. However, when she wanted pack the cards up, one of the cards slid from the deck and fell on the stall. When Vivianna reached to pick it up, she felt the same goosebumps as before and a small "Huh?" escaped her lips. Her arm had flinched and felt frozen. 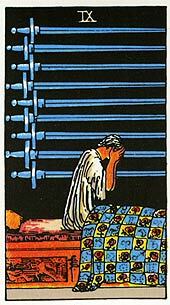 Looking at the card, Vivianna rememberd that sometimes tarot is fickle. "This.. is a card of someone getting what they want, or they are about to.." she was trying to focus to see what the deck wanted to tell. "However, there might be a cost...?" Shaking her hands, she quickly took the card and put it on top of the deck. "Ah, forget about it, it was just a card that fell down anyway. Hope the reading was good!" "Mhmm~" Nodding her head in approval Esperia seemed quite delighted at the playful manner upon which the fortune-teller replied. 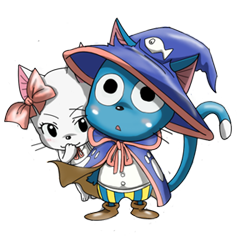 "Sure~ Let's see what you can do Vivi!" Yep, being easily excitable was a part of her childish charms after all. When they had picked their cards and Vivianna started her reading Esperia listened with bated breath, like a child listening to her favorite story. Mental strength, it was true that despite the hardships she had experienced Esperia was a kind person, although childish and selfish in nature she still had that side to her that made things rather fun and exciting for the couple. "Hehe, you're not wrong there~" Yet Asmodeus chuckled softly at the 'taming of the monster inside' part, clearly amused at the conversation while Vivianna continued her reading. Listening to Fia's reading the girl tilted her head slightly to the side in confusion, rather surprised at how similar the reading was to the way she perceived her lover. While Fia tended to show a more cold demeanor on the outside, she knew all too well how loving and kind her fiance was, and seeing how emotional she could get at times when they both faced their hardships made the girl find herself rather fascinated. "Hehe~ Fia is the pillow fortress of our relationship~" The girl stated with a sheepish grin yet as the card reading resumed she felt her expression darken for just a moment at mentioning her mother. It was true until she met Fia she had no longer had the joy of knowing the warmth of a family, and yet that gloom quickly turned into an intense blush. "Awawawa..." Her hands raised toward her cheeks the girl fidgeted lightly on the spot as if her thoughts about the perverted spell were read, while at the same time she resumed listening to the conversation further, seemingly a bit bewildered. It was true that she took a lot of joy and life from her relationship with Fia, to the point one might easily be able to say that it was her very reason for living, and she did often take the lead in their little adventures. Still, when Vivianna suddenly stopped mid-way she blinked curiously, seemingly trying to figure out what had caused her to stop midway. "Hmm~" once more she seemed rather fascinated by the card that was drawn, looking sideways at Fia as she seemed to be quite interested in seeing her lover's reactions to the card. "Mhmm~ You hear that Fia? Nothing can beat our love!" 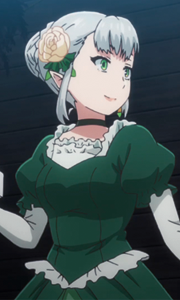 Esperia declared happily, seemingly somewhat amused at the way the card reading happened. However, as the reading seemed to be reaching its conclusion an unexpected change in the reading happened with the final revelation of an unannounced card. The sight of it made Esperia place her ticket on the table while happily embracing Fia sideways, giggling sheepishly. "I already got what I wanted~ My adorable fiance~ But thank you for the reading Vivi~"
Esperia hummed happily while oblivious to the fact that Asmodeus was leaning over the table, a light press of her finger against her lips as she whispered playfully. "Shh~ don't be spoiling every surprise now~"
It seemed even the cards were unsure what the Demon Lord of Lust had in mind! "Yeah, let's see what ya got, lady." Fia said after her lover, crossing her arms to see the fortune teller do her work. The Barone lass, at the very least, couldn't deny the woman was enthusiastic about her work, and seemed to know what she was doing. Fia couldn't help but smirk at the mention of creative magic, and what Esperia's reaction as she too realized what she might be trying to do with it. If there was any card that was right on the money, it was that one. When it came to the detriments, the cards weren't too far off. As Vivianna mentioned it, Fia did realize that Esperia was often the one taking the lead, coming up with silly little plans, and organizing travel for the pair. When it came to Fia's detriments, the cards hit a little close to home. It was hard for Fiammetta to deny she'd become a bit pessimistic and fed up with the world, not that anyone could really blame her. And although she did make her own plans every now and then... Maybe it would really be a good idea to not always have Esperia being the one pushing things forward. Things were looking like they were going to end on a high note with the last card, admitting that they were able to cover for each other's faults and reach compromise, something they'd already done a few times in the past. "Heh, o'course nothin' can, Princess. Even the damn cards agree." Fia declared in agreement, content with what they'd been told. There was one last unexpected card, and a foreboding one at that. Getting what they wanted at a cost, huh? And Fia herself... Had very recently gotten exactly what she wanted... But whatever, they were just damn cards. "Thanks fer the readin', lady." Fia said gratefully as she departed with her fiance clinging close to her. Ultimately, Fia wasn't really sure what to make of the card readings. In her mind, there was still a ways to go before she'd consider them completely legit. But, well, even if they didn't predict the future... They made her think, so that was something. It was the best take-away a girl who sought to defy fate could have from such an encounter, really. Being satisfied in ways she hadn't expected, Fia and Esperia left the stall, both of them pleased with their readings for one reason or another. Yes, the healer was in search of answers. An answer to a very basic question that everyone asks of themselves at one point or another. What is the purpose of his existence? Cliché much? Sure. But it still didn’t solve the problem. The red-headed Rune Knight was facing an existential crisis for a long time now. First, they told him pacifism doesn’t work. He let go of that. Things still didn’t work. Someone got hurt somewhere in the world right at that moment and there was nothing anyone could do about it even if they tried. That’s just how the world functioned. But, the naïve defender can’t come to terms with it. There he was, walking down the busy makeshift lane full of stalls, doing his assigned patrol duty. It wasn’t easy. He attempts to stop one guy from snatching an old lady’s purse; that ends up being a decoy to distract him while the actual robbery happens at a stall on the other end. And the people blame him, like it was his fault there were thieves in the world. “You know what? 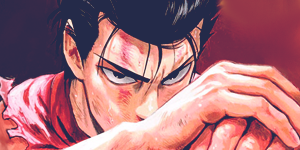 I’m done…” he said, before running off to the lane where he knew Akira would be. Time to see how his partner handled these things. The healer spotted the lunar mage chilling around some stall, completely ignoring her duties according to his eyes. 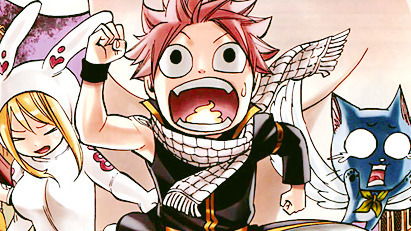 “AKIRA!” he yelled, approaching her, with a frown on his face, which had recently become a permanent thing with him. As he walked towards her, one particular stall caught his attention. He paused. This was exactly what he wanted. For someone to tell him if he will ever be successful in his quest to defend those who needed it. But… there was a catch. How could he trust this fortune teller? Many people have told him many things before that never worked out. What makes her any different? 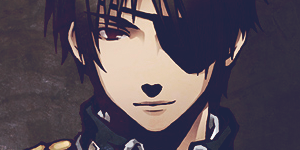 Haru’s eyes darted from the board to the fortune teller herself. Now that he had made eye contact, there was no backing out of this. He walked up to the stall with caution, like it would explode on his face at any moment. “Hello!” he said, trying hard to keep the scepticism out of the single word he uttered, but failing miserably. “So… Free if wrong, eh? Let’s test it out then. 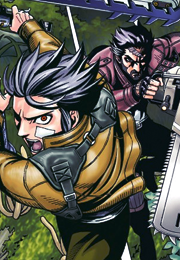 What do your cards say about me and my partner, here?” he asked, pointing towards Akira. His eyes narrowed at the blue-eyed lady, as if he dared her to say something wrong so that he could take out all his frustration with the world at this poor young lady. The Shimada was regretting her choices, to put it mildly. She felt hopeless, she felt cornered and she was trying her damn best to push all those thoughts away. For the sake of simplicity and some peace of mind, Aki had recommended they split ways. She even attempted lying and said she'd try to do her duty too, so long as he got off her case and did whatever he needed to do to feel useful. 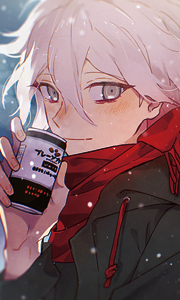 Akira had just been relaxing and getting some popped corn while she surveyed the people, laughing inwardly each time someone did something silly, not to mention the desperate lengths people went to, to get ahead in the more popular stalls. Unfortunately for her, the healer had decided it was ok to conduct random checks on Akira's progress. She heard his disappointed voice, which quickly drew her attention to his disappointed face. Her own expression soured as she glared back at him. 'Hey! You aren't the boss of m-' she was cut off as his attention was stolen by a nearby stall. 'What? Oh come on! That stuff is all fake, Tsuru!' she exclaimed. She had no way to back up her claim, but she just thought that this future telling business could not have been real. If there was any true merit to it, it wouldn't just be a stall in some event, if someone had the ability to truly see the future, they'd probably have a cult following... Nonetheless, it was amusing to see him expect answers. What he didn't notice was the fact that there was no way in really proving the tarot-reader wrong. While the mage was very clear that she didn't really believe in it, it had piqued her interest too. She didn't even need to ask though, the healer did it for her. Not only did he ask what the cards said about him, but also threw Aki into the mix. Her eyebrows rose, in mild surprise. But she offered consent in silence. Sidling up next to him, she folded her eyes and nodded at the reader ever so curtly, to see what would be drawn up for the two Knights. There was a challenge in her look, her body language probably showcased the skepticism, but they were here, there was no harm in giving it a shot. 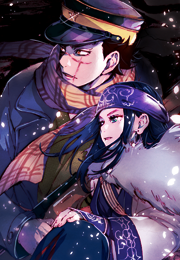 The pair had already gone through a... series of unfortunate events, Aki would find it interesting to speculate on what the future held, as unreliable as it may be. The mage was aware of the fact that the woman could just watch the two carefully, they did have pretty characteristic things that stood out about their personalities... The stall owner could just observe them and manipulate her reading to accommodate for simple deductions... If Akira could, she'd act differently, just to get the woman to read the lunar mage wrong, but alas, the Shimada did not possess the cunning or the aptitude to do so yet. So now, she just stood there, shifting her weight from foot to foot, wondering what this silly game had to offer. Cracking her fingers and relaxing, Vivianna exhaled a prolonged sigh. Her eyes closed, she pushed her chair back a bit and holding on to the stall, kind of shook herself back and forth while watching the sky. "Aaah.. I sure did more readings than I thought," she told to herself. "Aww..." she whined, yet she was still smiling. Enjoying the brief silence. She made eye contact with a passing person, but had no paid attention and went back up to her head. Till they decided to approach the stand. "Uwah!!" Vivianna scramed, both hands trying to grip the stall as the chair was about to fall backwards. Finally managing a grip on the polished surface, she brought the chair to a stand still and got up, her face red. It was a duo of mages, one of them had approached later. The male one had a pleasing voice, seemed to be, somewhat, excited to be on the stall. "H-hello!" Vivianna exclaimed and bowed down. She watched the second mage approach then. With a much more neutral facial expression, perhaps even a hint of skepticism, Vivianna gave the woman a smile, a smile with a crack that let out a slight bit of stress outside. Listening to the request of the man, she sat back down. "Sorry, I guess I was in the clouds there for a second," she said now that she had gained back some composure. Being her second duo, Vivianna wasn't sure if they were a more... intimate couple like the other ones. However, there being no mention of such things, she decided to mix her spreads to give as varied information as possible. Vivianna immediately offered her own chair to the dark haired woman, she wanted them both to sit down. And after the shuffling, cutting and card picking, the reading would begin for the two. Vivianna would make them pick the first and last card together, while choose three each individually. Immediately after flipping the first card, she had a sad smile on her face. "Ah... I see. Something drastic had happened. Something that was kin to an unwanted change, a change that you two were unprepared for. Something that perhaps even shook your beliefs; making you question if you knew anything at all. The Tower is a painful card, showing the systems that we know so much and love be brought to ruin. The tower speaks not of the scale however, for for some, the event can be losing a friend, for some, it can be losing a house in fire. I am glad however that this was a card of past..." the witch spoke. With slow moments, her hand floated to the the pair of cards standing underneath them. "Perhaps you felt... alone. Alone in a way that you couldn't ask for the help you knew it was there. Could it be that it was pride? Lack of self worth? So many times do we get stuck, maybe due to an event, maybe due to something we didn't manage to do; perhaps even because of thoughts that would just keep circling and circling in our minds. These very thoughts sometimes make us think that we are stuck, but in actuality, we are not. Yet tarot says that this is a process of learning, a painful process that will eventually lead to outcomes that will be brighter for you both. Think of it as... pulling off a bandage! It hurts for a bit, but at the end you are ridden of something no longer useful. I hope you two get out of this situation soon. Could it be possible that one of you is more to get hung up on things, while the other wants to get out if it as fast as possible? In a way, that's a nice duality. One experiences the problem, the event in its full scale, while the other knows where and how to end it.."
Flipping the pair under the first two, Vivianna stood silent for a few seconds. This pair was different than the first one. The other one has a much more calmer approach. A desire to make a choice with wider information. A small tinge of impatience here and there. This is someone before they make a choice. Someone who is waiting, but no longer wishes to, yet their patience will water their endeavors, and grant them fruit. There seem to be an emotional and logical divide between you two, as I said in the first pair. Interesting. Almost as if one of you always pulls back the other from reckless and potentially dangerous acts." "A celebration and fulfillment of wishes! Ah how wonderous isn't it? A personal success that effects all around you in a positive way, to the point it is celebrated! I really wish I could say more about these cards, but these two cards always seem to say, "Get ready for happiness, and don't question it." 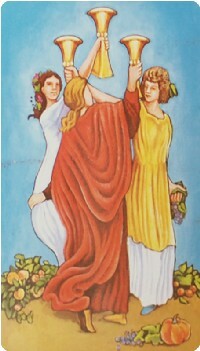 Almost most of the time, it is something the questioner wanted the most, especially the nine of cups. As an advice from this pair, I'd say share your happiness more often with other and each other; you never know how well it will affect the ones around you. In a relationship way, these two cards show that one of you desire something more personal, while one of you desire something bigger in range, something that will relieve and uplift the public. However, this doesn't mean that one of you is selfish, no, think of it as one of you wants to hold victory by its shoulders and bring it to others, while the other one invites victory to themselves and those around them, while also encouraging others to go get it; an active/passive duality." The last card was a great reference to the first card, seeing this, Vivianna chuckled. 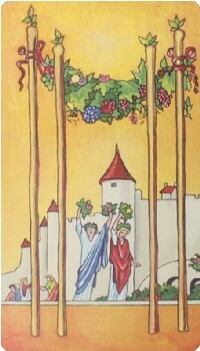 "In tarot, Star comes right after the Tower. Aside from their numbers being consequent, their meanings are also intertwined. 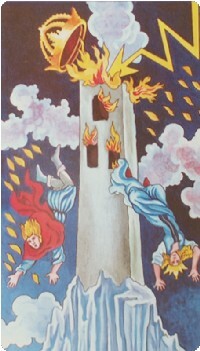 The Tower, as I said shows the ending, sudden change and destruction of well known systems, beliefs and belief systems. 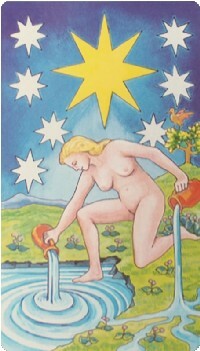 The Star is a card of hope, it shows the calm after, the storm. The Star tells the questioner that, after the loss and, or, change in Tower, it reminds them that this has the potential to be a new phase in their life, a phase that can be better than the one before. Seeing that this is the final card, as an advice, it would say keep your hopes up, and try to accept what change brings, even if that change is painful. As the future card, well, I guess I can say that whatever was that Tower card, it's effects will be gone from both of your souls." The red-headed Knight’s eyes went wide when he saw the tarot lady scream and almost fall of her chair. He extended his arm to try and stop her from falling, but thankfully, that wasn’t required. The lady managed to hold onto the desk and gather her bearings. “Careful there,” he said, softening up a little. Despite all the annoyance and frustrations, the healer’s protective instincts and compassion were still intact. As usual, Akira was extremely sceptical about the whole ordeal, but he couldn’t blame her for it. Even he wasn’t entirely sure if the art of fortune-telling was legit. Well, this lady’s reading would probably have a severe impact on his beliefs, as this was the first time he was encountering the art of divination. The healer took the seat opposite the fortune-teller and waited as she offered her own to his partner before laying out the cards they had to pick. The first one was supposed to picked together. Haru waited for Akira’s choice and would agree no matter which card she chose. It was the tower. The red-headed Knight watched as the lady gave a sad smile. The reading that followed seemed so accurate that it took the nineteen-year-old by shock. He sat there, listening to her, wide-eyed, wondering how in the hell could she possibly know of their recent perils just from flipping a card. Now, she had his full attention. 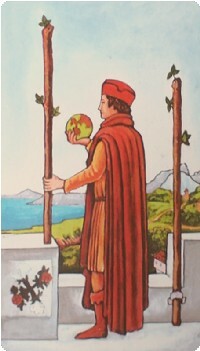 The second card’s reading only incited more questions within the man, than give him any answers. He thought he would get more insight into the past that he had forgotten, but it would seem these cards were talking about his present. Whom could he ask help from? He had no trouble asking for help, only he didn’t know whom to ask. One thing was certain, however. He was the one that got hung up on things. Hopefully the part about this being a learning process would come true, at least. The third one was spookily accurate. He turned to look at Akira with his mouth agape. He was indeed obsessed with justice and the Lunar mage had pulled him back from reckless acts several times in their journey. The healer sat up straight and moved to the edge of the seat as he picked the next card. This one foretold happiness, which the healer looked forward to. But what caught him off-guard was the accurate prediction that one of the two desired something more personal in the relationship. Blood gushed to the healer’s cheeks, making him go red. He had to blink rapidly and look away to avoid having Akira spot him blush. Unfortunately, however, the lady also predicted that the other one was more interested in the betterment of the world. Now, this confused the man. He wanted both things; so, he wasn’t sure which part applied to him. Maybe the it was all confused and mixed up because the two of them were picking cards at the same time. At this point, the healer really wasn’t sure if he wanted to trust this divination or not. But, thankfully, the last card they had to pick together at least did not foretell more suffering. 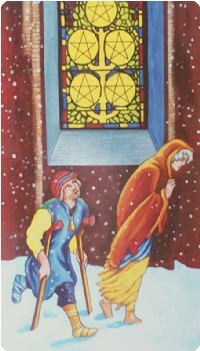 The healer sighed when the blonde fortune-teller uttered the word ‘hope’. Yes… That’s what he had gotten out of this thing. And actually, he was more than happy with it. In the few minutes that he spent sitting there listening to the fortune-teller, he learned one thing. Irrespective of whether she was capable of reading his past or future, none of the good or bad things will happen if he did not get up in the morning every day and do something. So, there were some things that were still under his control and that was what he needed to focus on; to do his best in whatever that he had control over. For that clarity and hope, he was grateful to the fortune-teller. For a brief moment, Haru was lost in his own thoughts and was staring blankly at the cards, after she had completed her reading. Then, he shook himself to reality and smiled. “Thanks,” he said, weakly. Fishing into his pocket, he pulled a few jewels and paid the fortune-teller for her services. The healer then turned towards Akira and smiled. His very first innocent, happy smile after a very long time. “Well… I guess we do our best and hope for the best,” he said, summarizing what he gleaned from that reading. She noticed the concern that welled up in Tsuru at the prospect of the reader falling off of her chair. Aki too was concerned, but her protective reflexes hardly matched that of her partner. She clicked her tongue and accepted the rickety chair offered by the woman. Aki nodded curtly as a thank you, she would have said more, but she feared any enthusiasm may derail the healer further. She had to maintain her practical skeptical outlook, to prevent him from believing the mystic as though she was the writer of their fate. It was bad enough that she didn't really know enough about his alignments... What she did know, was that he was pretty messed up already, dwindling in a state that seemed to be having adverse effects on his mood and demeanor... The Shimada really she didn't need him to prey to unproven arts like this card related divination. So she curbed her curiosity and cautiously played along with a poker face. They were to pick the first card together and Tsuru decided to follow her lead, his finger settling upon the card moments after hers. The Tower. Somehow even the name sounded heavy. Tower... Like a monumental construction that was just waiting to fall upon them, something they'd fail to scale... Luckily it only referred to their past. Akira narrowed her eyes at the reader, it was too accurate... The girl immediately suspected foul play. Had word spread that they were the Knights that had been part of the group that recently attacked the shady Phantom Lord guild? She had to have known, right? The tower could mean anything and now the woman was just twisting it to sound in-line with the news she may have received. Akira reserved judgment, but it pained her to see that her fellow Knight was quite taken in with the cards and their magical properties, following this bout of accuracy. That was it... Hook, line and sinker. 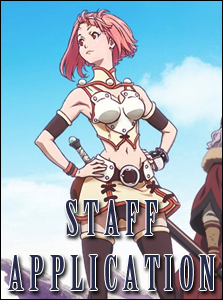 'Losing faith in our jobs... most likely...' she muttered, mostly to herself, but if the other two were paying any attention, perhaps they'd caught an odd word or two. The second pair of cards was in the same vein as the first one. But it offered just a little bit more insight... Definitely for Akira. The words rang so true for the sixteen-year-old, that an odd sense of faith began stirring in her too... No no! This is just some generic stuff, take it with a pinch of salt! the skeptic in her exclaimed. But she was alone, she often didn't know who to turn to... Such few people could understand her decisions, understand her magic... understand her... being. Yet, slowly as she blossomed, the girl had been gifted with the presence of those that made her feel free. But could she really rely on them to accept every decision she made? To stand by her when the world was against her? Probably not... Perhaps the discord that stood between them was apparent again. Just when they'd started working as a well-oiled machine, they received the blow from the council and dealt with it in rather contradicting and unexpected manners. Who was really hung up? At least Tsuru was trying to deal with it, while Aki was just pretending nothing happened... Maybe they had to face up to it. No! No! she reminded herself to not get sucked into this again. But there was such an allure to the process and the cards revealed things that resonated so well... Betraying just a little bit of excitement, the next pair was picked. Her eyes darted from one man to the others, following the mystical reader's instruction. Akira attempted fixing her to one and Tsuru to the other, but it was impossible, based on the situation, they'd both play both those roles. It definitely served to balance their outlook, but it was also a cause of friction between them. Their goal... was aligned, their approaches were starkly different. Each did rely on the other for that tug away from danger... and yes, at the moment, their dissatisfaction with their duty, was apparent. Maybe the woman is just really good at reading people... This whole tarot game was a dangerous business, addictive even. Aki found herself itching to pick the next set. Aki frowned at this one. Weighed down by everything that had happened, this set seemed off. 'Celebration?' she wondered, out loud, but not exactly as a challenge, simply with curiosity. If that truly was underway, she wouldn't actually question it, but whether happiness was truly in the future or not, was up for some serious debate. The second allusion to the cards caused Akira to become rather pensive. She quickly drew the conclusion that she was the selfish one, looking for support and acceptance, while he was the one focused on the betterment of the world, despite the woman's reassurance, it made Akira feel a little small. She was definitely the passive encourager, if at all... Tsuru reaction to the whole thing confused her, but she found her cheeks reflecting a similar pink hue upon noticing his... They both avoided eye-contact and went onto quietly picking their last card. As the last card got the reader spouting some stuff about hope and happiness, Aki was quick to melt into her mistrusting self again, as she leaned back into the chair in a slightly disinterested manner. No... Just because we seemingly hit rock bottom does not mean we have nowhere to go but up... she thought, with a slight roll of her eyes. It was funny how she lapped up everything she deemed to be accurate but refused to see the brighter side. The alleged happiness and hope in the future... All that was nonsense to her. She was almost about to start asking the woman for her permit and paperwork, simply because the Shimada felt a little swindled, especially now that the last part had jarred her back to her reality. But then she heard the clatter of coins against the stall's table and she looked up to see Tsuru smile for the first time in what felt like eons. Just for that, she had to be grateful too. With a heavy sigh, she plucked out her own share of jewels. Akira offered a half-smile to her partner, but afforded the reader only one last cynical look, before turning to leave. Barry wasn't looking for anything in particular while he walked the streets of the festival, all he wanted was to eat his noodles in peace yet it seemed he couldn't do that because of the hustle and bustle of the festival. With a mouth full of noodles and half-lidded eyes, he slurped up what remained inside of his cup. "Darn it, that cup was supposed to last me the rest of the day." he sighed, now he had to pay attention to the things around him rather than just having a good old time slurping up his noodles. As he marched he had spotted two familiar faces at a stall, Akira and Hat-boy, well that was something! He didn't expect to see either of them today, "Hey guys!" he waved to them, though given the distance and how quickly they were consumed by the crowd it seemed he wouldn't get to play catch up with the adorable couple today. Soon they would both be gone, but in their wake was a stall with a bodacious blonde running it. Now that was his kind of show. It seemed he had found another cup of noodles. Approaching the stall he had noticed she was fiddling with cards, "Ey, lemme get what you're selling, and then we get out of here for some lunch." he was blunt, leaning over the table with his usual 'i don't know any better' smile. Watching the young duo walk away, Vivianna took back her chair and sat down. Quickly, she would bring out her tea urn, light it and pour some hot water inside. The ceramic part underneath had accumulated some water marks. Scoffing, she mental mark to wipe it clean as soon as possible. She looked at the young duo again, now disappearing in the crowd. They were quite the characters and Vivianna couldn't help but feel like she'd meet them again. Even if not now, surely later. The moment water boiled, she was approached by a man. Before she could look at the man thoroughly, she was hit on, or so she assumed. Standing silently for a few seconds and then just staring at the man with a bewildered face, she gulped. "I - I'm not selling anything..." she mumbled. She had never had this happen to her before. Sure, some cat calling and some stares here and there, but never something so... blunt. Deciding that the man must've been clearly joking she ignored his request to go somewhere. She coughed, her face akin to a tomato and sat down. "I do tarot readings, fortune telling, in a way. Would you... would you want one?" She asked. Feeling a little bit uncomfortable. However, at the same time, the man's brash attitude was... refreshing. It peaked her interest.